Happy March! Apologies for the lateness of this month’s Phoenix Public Market Recipe but things at Geeks Who Eat Headquarters have been nuts! We have a few big projects coming up that we can’t wait to share with you! First, however, we have a delicious recipe to share with you this month! 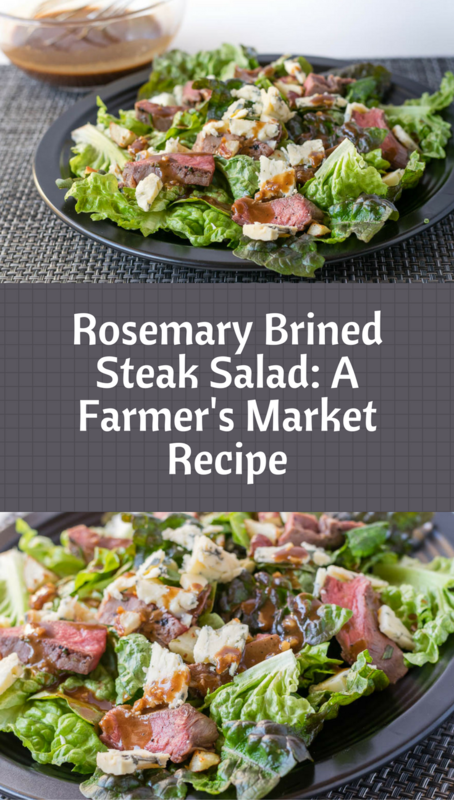 We have created a fantastic Rosemary Brined Steak Salad which features the brine recipe we shared earlier in the week. When creating this recipe, we had a couple things in mind. First, with the weather warming up, we wanted to create a lighter dish. However, it was important to us that this was a hearty salad as well. 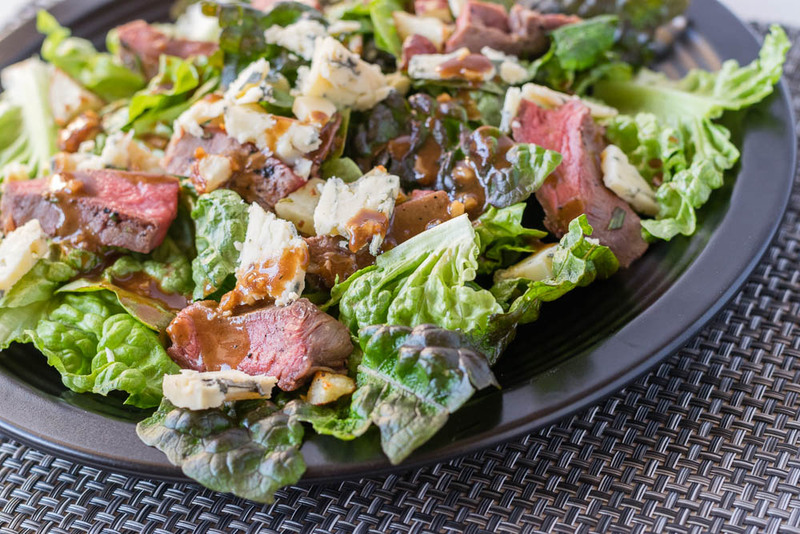 Our Rosemary Brined Steak Salad is the best of both worlds. Not only do you have a lighter salad with a bright salad dressing, but also meat and potatoes. It doesn’t get much better than that, right? Next month’s recipe will be perfect for warm spring weather! You definitely don’t want to miss it! Are there any recipes you’d like to see? What about a product available at Phoenix Public Market that you’d like to see featured? Leave a comment below with your suggestions and we will do our best to make them happen! Brine steak according to brine recipe. Combine salad dressing ingredients and refrigerate. Grill steak to medium rare. Cut potato into bite size pieces (not too small as they will burn when roasting). Toss potatoes with oil, rosemary, salt, and pepper. Let potatoes cool for 5 minutes. Top lettuce with steak, potatoes, and dressing.